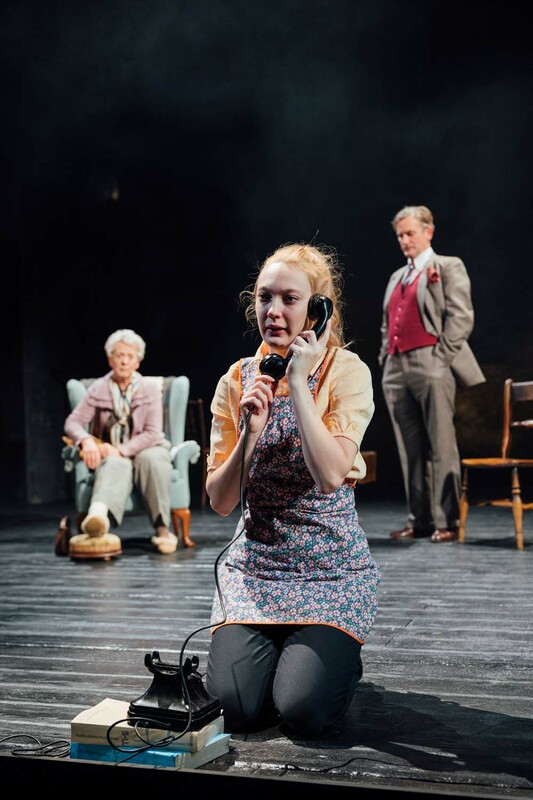 This week, Wales Millennium Centre and Wiltshire Creative first ever UK stage adaptation of Agatha Christie’s much-loved Miss Marple thriller The Mirror Crack’d from Side to Side comes to Cardiff’s New Theatre. The iconic Marple mystery from the world’s best-selling author of all time is adapted for the stage by Rachel Wagstaff and directed by Melly Still and features a cavalcade of stage and screen stars including Simon Shepherd, Colin R Campbell, Suzanna Hamilton, Julia Hills, Katherine Manners and Susie Blake as Miss Marple. Also starring is Joe Dixon, an actor known for his work on stage with the Royal Shakespeare Company in productions such as A Midsummer Nights Dream and The Malcontent as well as screen and TV roles in The Mummy Returns, Doctor Who and Criminal Justice. Appearing in an Agatha Christie drama is a new challenge for Joe, who hails from Birmingham. Colin R Campbell and Joe Dixon star in the Agatha Christie whodunnit, The Mirror Crack’d which runs at Cardiff’s New Theatre from March 26 to April 6, 2019. Photo Helen Murray. In The Mirror Crack’d, Joe plays the role of Jason Rudd, a Hollywood film Director, who along with his wife, the actress, Marina Gregg arrive in a sleepy village to make a film. However in traditional Agatha Christie style, people start dying in the process. Agatha Christie whodunnit, The Mirror Crack’d runs at Cardiff’s New Theatre from March 26 to April 6, 2019. Photo Helen Murray. Joe first got the acting bug at school before being encouraged by his teachers to join Birmingham Youth Theatre. “I performed at the Birmingham Rep and was reviewed nationally. It was an amazing company to work for and a lot of actors have come through the Birmingham Youth Theatre. Until that point, I didn’t know how actors happened to be and didn’t think it was something in my sphere of possibility and then it was. Subsequently, Joe joined the Royal Shakespeare Company and has regularly appeared in their productions over the last two decades. He was recently invited to Buckingham Palace to revive the character of Bottom for a special presentation of A Mid-Summer Night’s Dream for Prince Charles birthday alongside Dame Judi Dench as Titania. Susie Blake, Katie Matsell and Simon Shepherd feature in Agatha Christie’s whodunnit, The Mirror Crack’d which runs at Cardiff’s New Theatre from March 26 to April 6, 2019. Photo Helen Murray. From time to time, Joe has made the occasional appearance on film and television, however one of his most enduring television roles in peoples memories has perhaps been one of his briefest, when he appeared as a Time Lord in David Tennant’s Doctor Who finale back in 2010. Joe Dixon, Suzanna Hamilton, Gillian Saker, Katherine Manners and Davina Moon feature in the Agatha Christie whodunnit, The Mirror Crack’d which runs at Cardiff’s New Theatre from March 26 to April 6, 2019. Photo Helen Murray. Presently, Joe is relishing his current role as early 1960s Film Director, Jason Rudd in The Mirror Crack’d, but he’s remaining tight-lipped about the outcome of the murder mystery which reaches Cardiff’s New Theatre this week. “Rachel Wagstaff has done a wonderful adaptation and you can feel the audience thinking, “Is it him? Is it her?” Then something happens and they change their mind! 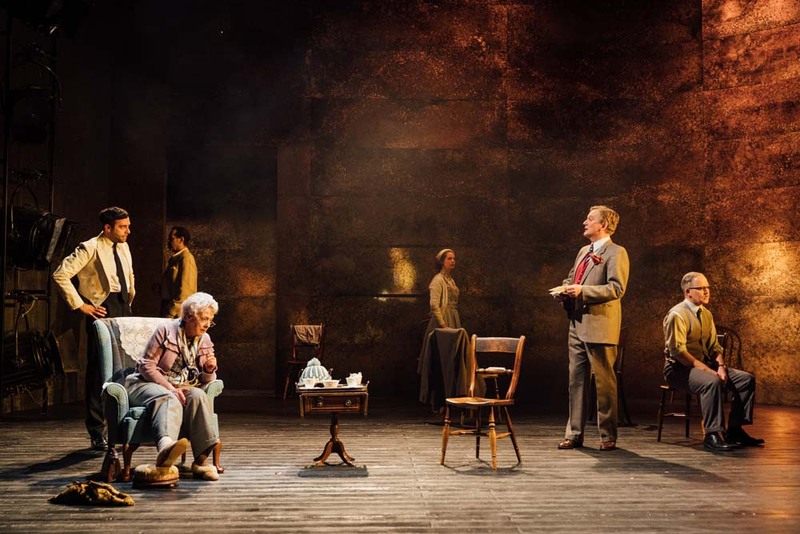 What’s wonderful about this particular production is you see the first murder-scene acted from different people’s perspectives which I think is wonderful and that’s very thrilling for the audience. Its not until the last scene they get the full picture. The Mirror Crack’d plays Cardiff’s New Theatre from March 26 to April 6, 2019. Call 029 2087 8889 or visit www.newtheatrecardiff.co.uk for ticket details.